I want to preface this review by saying please don't take the length of this review to be any reflection about how I felt about the book. While I don't have reams and reams to say the book itself was one that I really enjoyed and would happily recommend to others. You will enjoy this book if you read and loved My sister lives on the mantlepiece as I think the message of the story is very similar. They both feature children who have lost a family member due to a terrorist attack (even though they weren't necessarily affected by that loss as such being so young at the time). The book was written well and the story flowed nicely meaning it was a quick read despite being a bit of a monster size wise. 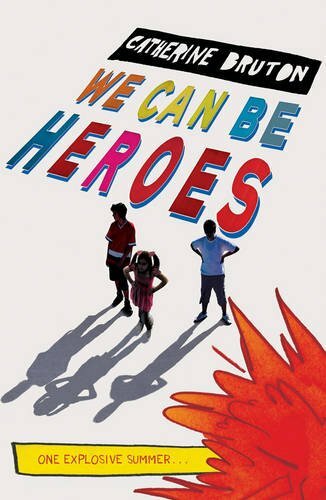 The message of the book for me was tackling ignorance surrounding racism which was built up towards people in the UK who are labelled "terrorists" simply because of the faith they choose to follow and this story tried to show both how such stereotypes are wrong and how they grow within a community through the eyes of children. I thought it was done well and I certainly enjoyed reading it. All in all a lovely debut novel and a book with a good message for teens.